The Premier Trophy has been the season-opening competition for most of the Armadale era, though it is not on the schedule for 2011. We were losing finalists in 1999 and 2009, and our only victory came in our most successful season of 2008. 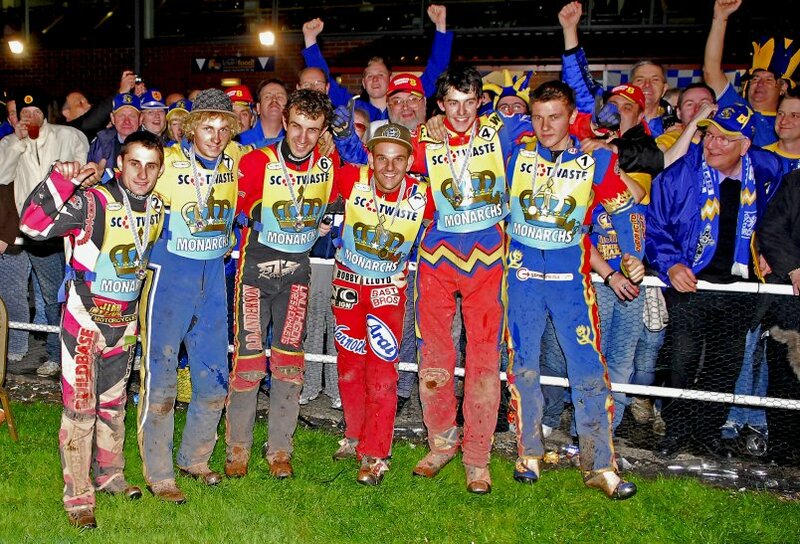 We had such a huge lead from the home league that it was really all over then, and we were also league champions by the time we arrived at Perry Barr for the second leg - indeed it was Birmingham's win over Somerset seven days earliuer which clinched it! We took a huge travelling support to Birmingham where we were again in great form, winning the second leg as well, and we presented bottles of Scotch to the Brummies in recognition of their win the week before. A great atmosphere made it a memorable occasion. The missing man from the photo is Thomas H Jonasson who had broken his leg in Sweden at the end of August.